1.Back-side sealing.All functions of bag-making，measuring，filling，sealing，cutting and heatprinting codes can be done automatically. 2.Adopt advanced microcomputer controller and step-by –step motor to drive and control the length of bag with stable performance and accurate testing. Meanwhile, it is easy to operate. 3.Infiniy frequency conversion adjusting speed. 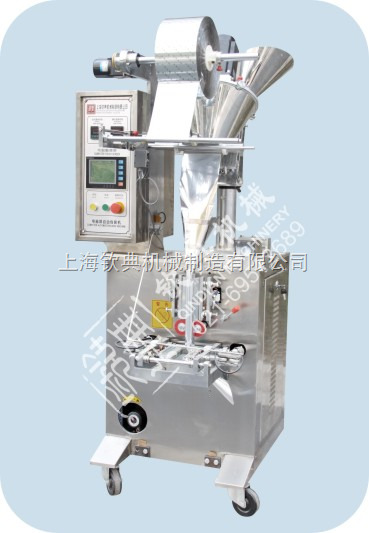 Different feed can be used to packing different materials, like granule, liquid, catsup and powder, and so on. This machine is applicable to pack bulk materials, like puffed food, shrimp strip, peanut, melon seeds, flavoring, beef bean, desiccant and laundry powder.